Hello! I'm currently typing this as I am back home in Richmond. I needed a break from school stress and apartment drama so I decided to come home for the weekend. I left early Saturday morning and will leave Richmond tomorrow evening. It's so relaxing to have a break from Philadelphia even if only for a few days. 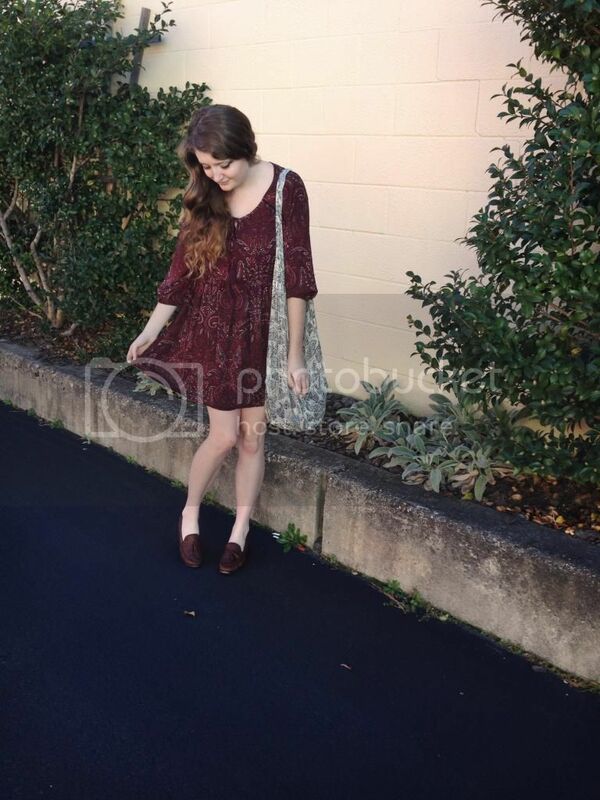 When I arrived yesterday, my sister, mom and I went out to lunch and also to several of my favorite thrift shops. I was hoping to find a bunch of cozy, vintage sweaters to add to my wardrobe but I had no such luck. Actually, I didn't have luck finding anything and left the thrift shops yesterday without any new additions to my wardrobe. Due to yesterday's bad shopping luck and my desperate need for more late fall/early winter items in my wardrobe, my mom and I went to Forever 21 this morning. Luckily I found a few new items to add to my wardrobe: the most incredibly bohemian dress, cozy sweater and luxe flare pants. Even better yet, Forever 21 was having a sale for 10% off if you spent more than $50, 15% off if you spent more than $60 and 20% off if you spent more than $70. I had no idea about the sale before I got in line to check out and was definitely happy about getting 20% off my purchase plus 30% off the dress that I bought. 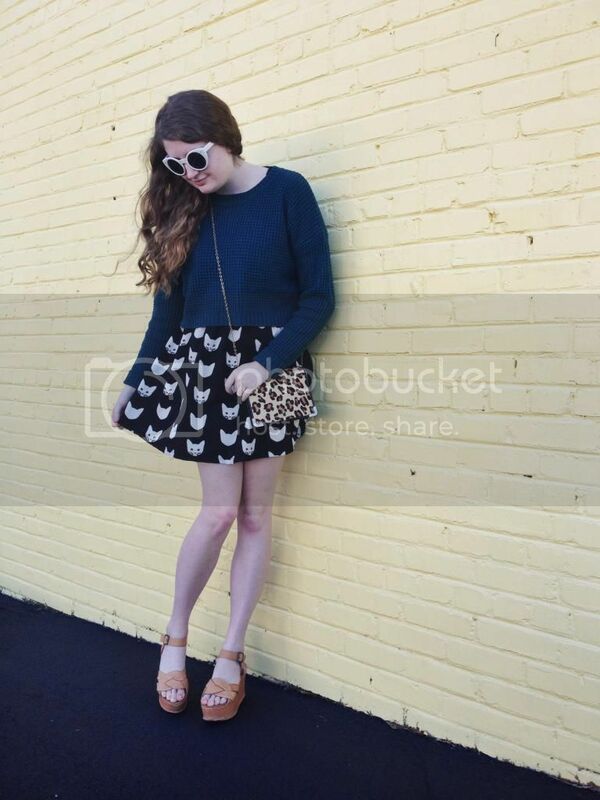 For my look today, I styled a cropped teal sweater over a black and white cat print dress. I threw in another pattern with my leopard crossbody bag. I accentuated the colors in the bag with a pair of flatform sandals. Bold white sunglasses completed the look. Hope that you guys had a good weekend! Hello! I have a confession to make: I've developed quite an adoration for cute, patterned socks in the past several weeks. And it seems to feel a little ridiculous how much emphasis I've been putting on my "sock game" lately. But okay, this can totally be justified. For one, socks are an essential. Whether those socks are cute or not is an entirely different story but socks on their own are definitely an essential. And an especially crucial essential as the weather gets cooler and we begin to pull out boots more and more often. And I mean, cute socks are considered an essential for me because I'm a fashion merchandising major, right? Some argue that cute socks are pointless as no one ever really sees the socks as they are usually hidden underneath the shoes. However, I disagree with that. For one, I'll often walk around the halls in my dorm/apartment building without shoes on so c'mon cute socks are definitely a necessity. But also, I've been really liking the style that socks can add to my looks if I wear them with cut-out boots so that the pattern of the socks is revealed or worn with heels or boots so that the socks are visible. This can be seen in several of my looks this semester. In THIS look, I paired a pair of green polka dot socks with a pair of Doc Martens so that the tops of the socks are peeking out of the boots and playing up the print of the dress that I was wearing. In THIS look, I added a print to my look with a pair of playful fox socks worn with cut-out booties. Basically, the point of this rambling explanation is that even though it may seem ridiculous, having and wearing cute, quirky socks instantly brightens my day. Below are a few of my favorite printed socks available to purchase online right now. 1. Forever 21 Green Polka Dot Socks. $2.80. I actually own these socks and couldn't be more in love with them. The stylish polka dot print, the rich green color- what's not to love? Even though these are technically men's socks, you can't really tell. I was slightly worried about the sizing when I ordered these online but am quite pleased with them. 2. J. Crew Elephant Trouser Socks. $16.50. Having socks this cute justifies walking around the dorm building halls without shoes on, right? 3. Forever 21 Blue Polka Dot Socks. $2.80. Same as the first option but in navy instead of green. Additionally, they sell these socks in yellow and burgundy. I also own these socks as well as the burgundy ones. 10/10 would recommend buying. 4. Brooks Brothers Navy Fair Isle Socks. $22. Everything about these socks from the fair isle print to texture to dark color scheme shouts "winter." Perfect for pairing with your coziest pair of boots to keep warm when temperatures start to drop. 5. Toast Rosedale Fair Isle Socks. $25. Love the quirky print of these socks. Let the tops of these socks peek out of your boots for an added dose of style to your look. 6. Brooks Brothers Burgundy Fair Isle Socks. $22. Same as the fourth option but in a rich burgundy color instead. Hello from me and my apartment roommates of A2! 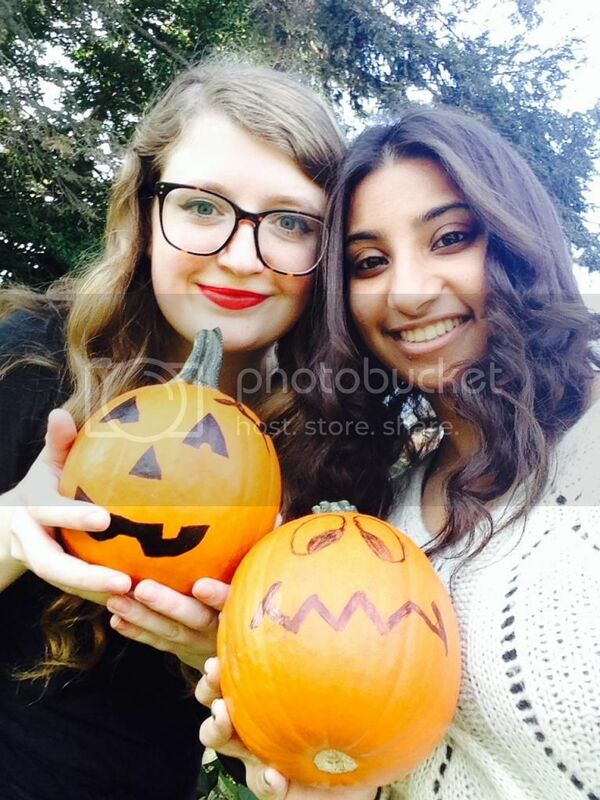 Yesterday, Bhumi (top photo), Micah (bottom photo) and I posed for a few cute roommate photos together. 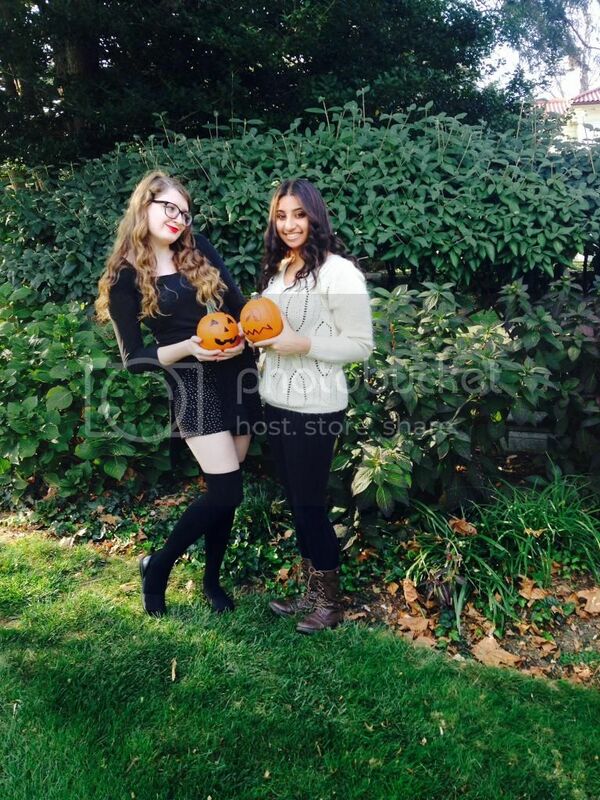 We incorporated our pumpkins from the apartment into the shoot to give the photos a fall feel. For the photos, I dressed in all black. I styled my look around this black and white polka dot dress. 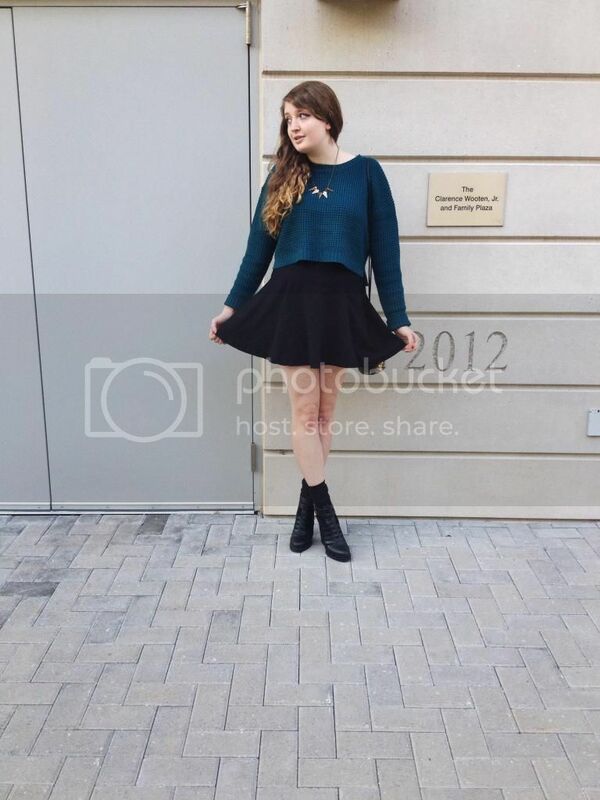 I layered a black long-sleeve top over the dress and tied an open knit sweater around my waist. I broke the "no socks with sandals" rule and styled a pair of black thigh-high socks with a simple pair of black sandals. Bright red lipstick and my oversize glasses completed the look. Bhumi kept her look simple with a neutral-colored sweater, black leggings and brown lace-up boots. 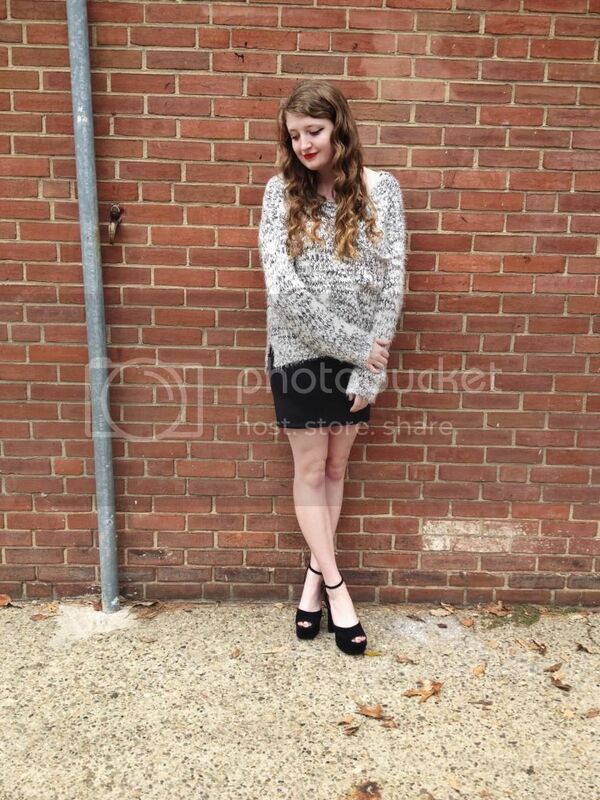 Micah's look revolved around layering; she styled a romper with a black sweater followed by a gray knit sweater. 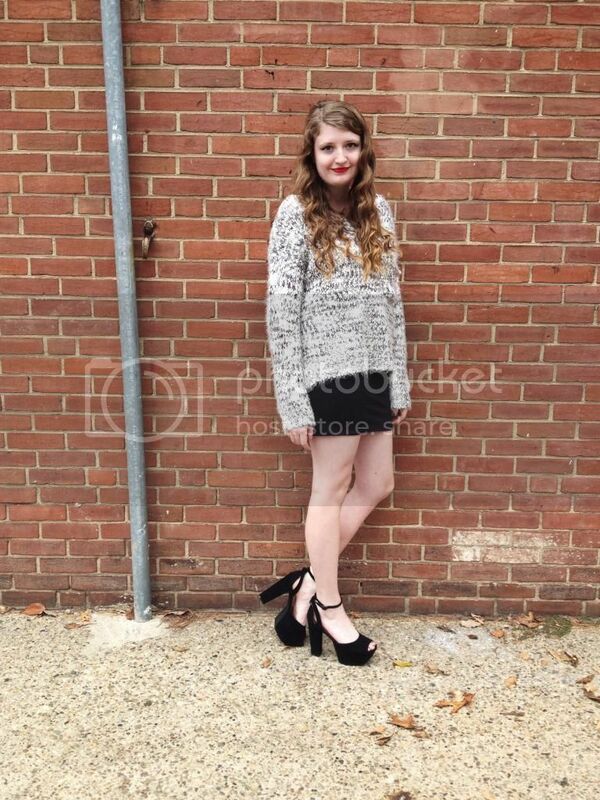 She completed her look with bold lipstick, black knee highs and a pair of wedges. Hope that you guys are enjoying your October! Hello! It's finally becoming chilly enough to start layering and I couldn't be any happier about it. I styled this look around a summer-y daisy print dress. 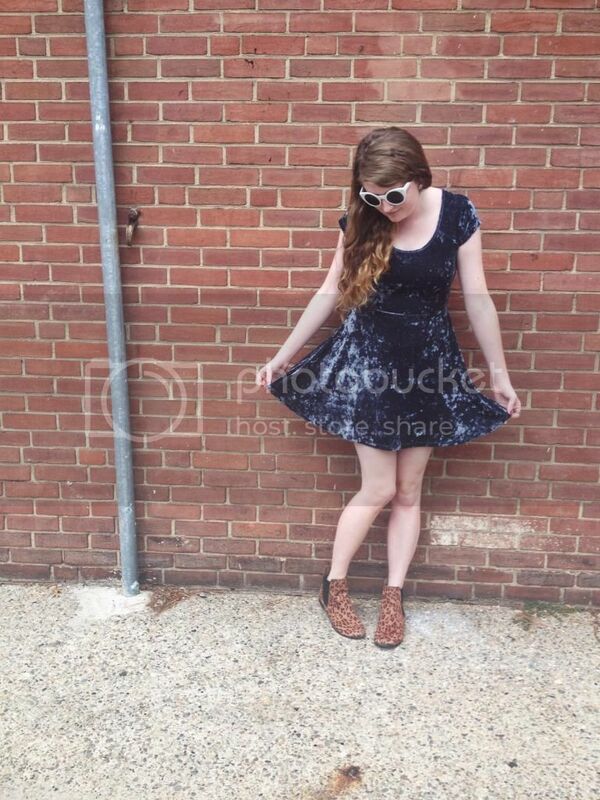 You can see how I styled this dress this past spring/summer here and here. 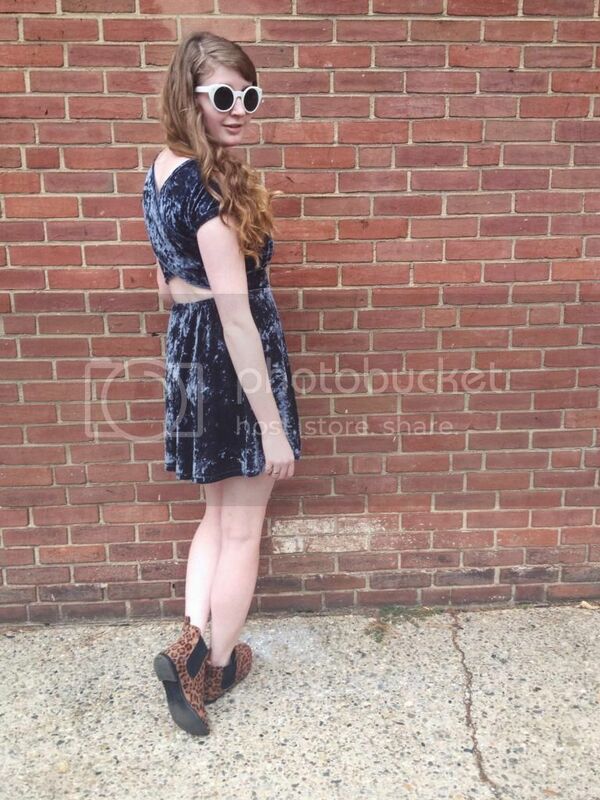 This dress is very breezy and lightweight and therefore, ideal for layering. For this look, I slipped a burgundy sweater over top of the dress. The oversize shape, rich autumnal color and texture of this sweater draw me back to it time and time again. I cozied up the look with a luxurious knit scarf. 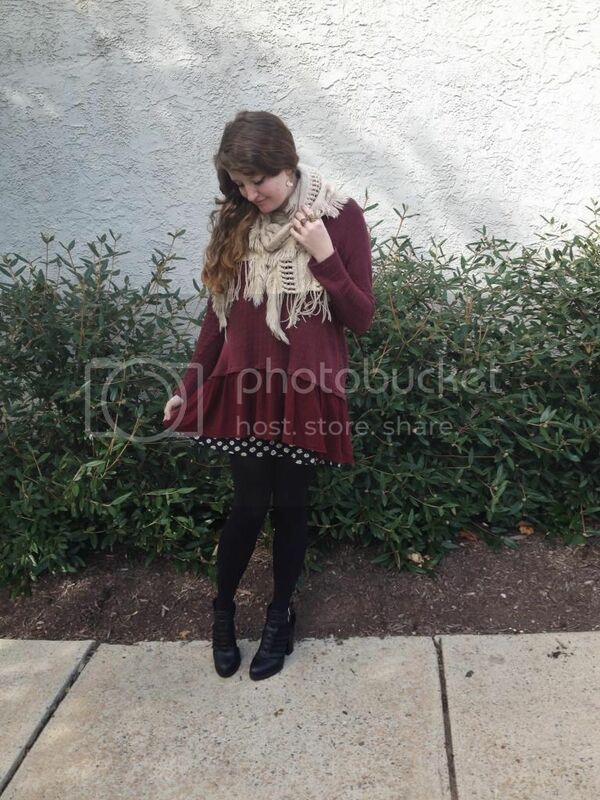 I styled the look with a pair of black opaque tights and black heeled booties. I accessorized with a pair of golden earrings and several golden rings. Hello! Today, I have an online eyewear retailer to introduce to you guys- Gran Optic. Gran Optic sells regular glasses, sunglasses and contact lenses for both men and women. They have a particularly incredible collection of Ray Ban sunglasses. They have an almost endless supply of various glasses. They offer numerous brands, styles/shapes, colors, frame types and materials. And luckily, their site makes it easy to navigate and search for exactly what you are looking for. You can narrow down your search by selecting the type (frame, brand, material, etc.) of glasses that you are specifically looking for. Cost of frames start at about $40 and run to about $650. They offer a great selection of less expensive as well as more expensive, luxurious brands. For eyewear inspiration, I look to style icon and blogger, Keiko Lynn (pictured in the photo above.) She incorporates eyewear into her style flawlessly. My favorite glasses from Gran Optic were inspired by this chic fashion blogger; below are my top picks. 1. "Celine CL 41300 3Y72" $230. These are such a classic pair of glasses and can be easily worn with any outfit. I love the tortoiseshell print of the frames. 2. "Celine CL 41340 12E3" $230. Stand out with a unique pair of neutral-colored glasses. You don't usually see too many people with glasses this color but I'm absolutely in love with this pair. 3. "Bottega Veneta B.V. 214 HM3" $320. 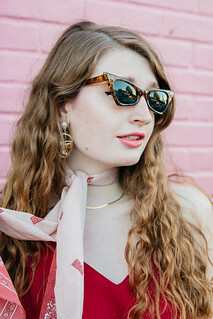 Another pair of tortoiseshell glasses makes this list because I simply cannot resist how effortlessly stylish the print is. Not to mention that it looks good with everything. 4. "Dior BLACKTIE170 TRD" $245. These dark glasses emit a very polished, classic feeling and you'll instantly look more studious after slipping these on. If you are looking for a new pair of glasses or sunglasses to add to your wardrobe, I would definitely recommend checking out Gran Optic; it is almost guaranteed that they will have exactly what you are looking for. ***Disclaimer: Gran Optic provided monetary compensation for this post but I wrote the actual post and all opinions written in this post are mine. Hello! I'm constantly swooning over the bohemian merchandise carried by Free People and this fall is no different. 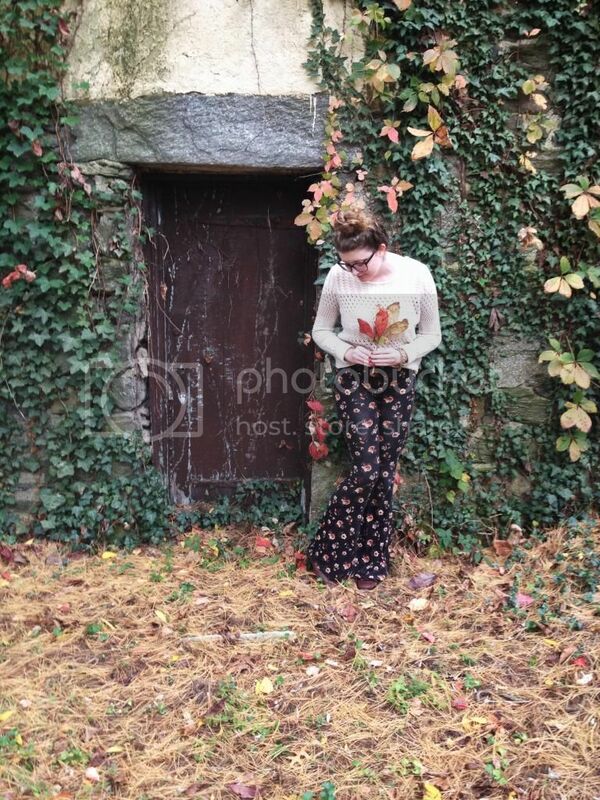 When Free People sent me their October lookbook ("Down to the Cabin"), I instantly fell in love. 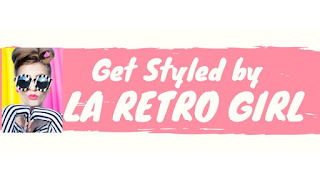 Their October lookbook is full of nostalgic, rustic looks. Above are a few of my favorite looks. 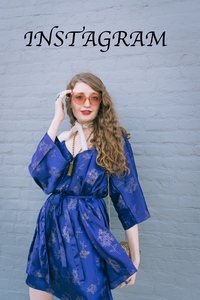 There is a mix of simple pieces such as basic tops and baggy jeans paired with more glamorous, seventies-inspired items such as luxurious faux furs and paisley prints. This juxtaposition of styles creates entirely unique looks. Hello! Today, I debuted my new backpack from Torrain. Torrain promotes environmental sustainability and creates bags from natural and recycled materials. Their bags have a very free-spirited feel to them and are perfect for everyday use. 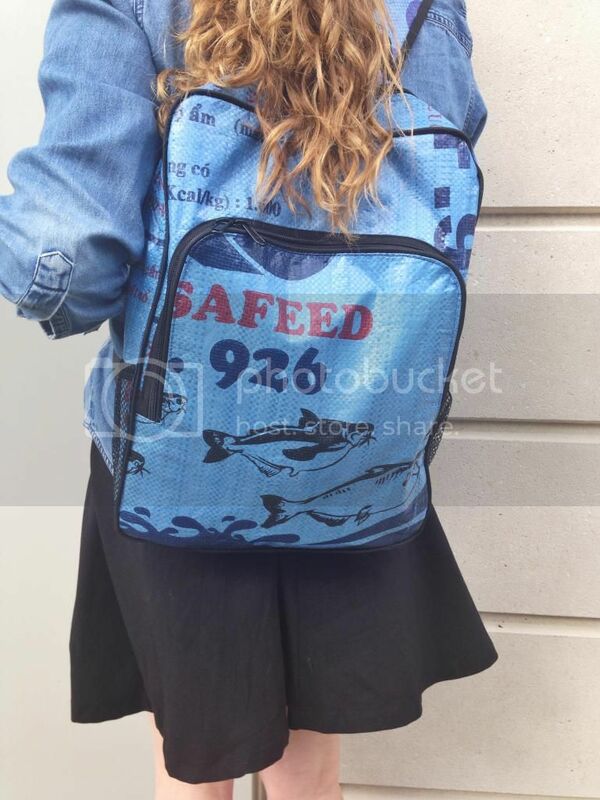 This is their backpack style bag in "ocean blue"; it retails HERE for $48.00. I was delighted when I opened this bag in the mail. 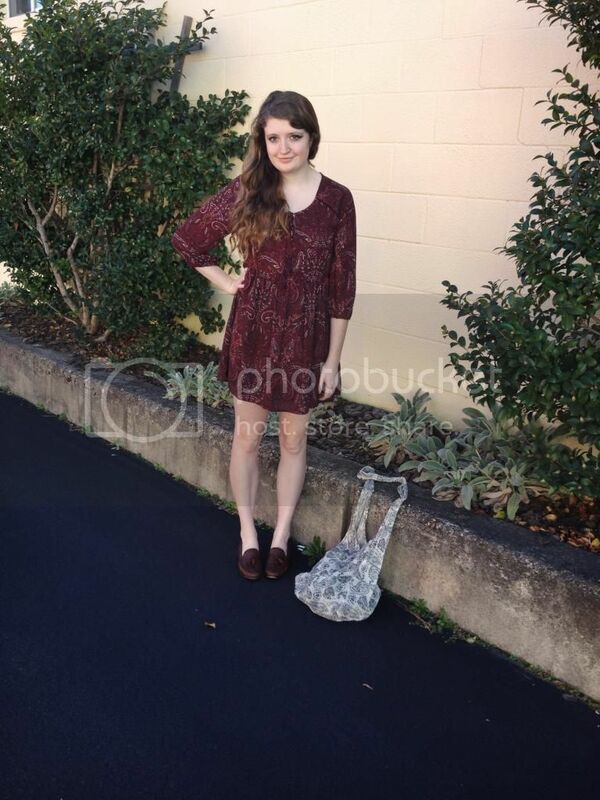 I love the print and texture of the bag; it is entirely unlike anything in my wardrobe. This bag is quite roomy and the ideal size for holding my laptop, books, pencils, etc. for class. I am also very impressed with the quality of this bag. If you are looking to update your wardrobe with a unique, environmentally friendly bag, I would definitely recommend checking out Torrain. 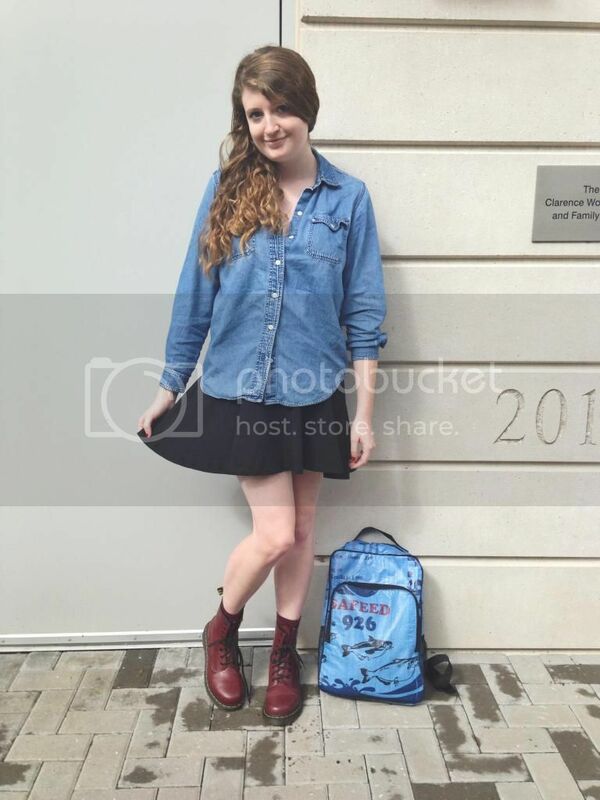 Today, I styled the backpack with my black circle skirt and denim button down. To accentuate the cherry red of the backpack, I threw on my cherry-colored Doc Martens. Hello! Notice anything different about my look? Today, I donned a pair of new glasses courtesy of Firmoo. I've had problems with my eyesight for as long as I can remember but have primarily relied on contacts to help my vision. I used to think that glasses hindered my style but that is most certainly not the case anymore. Glasses can actually add style to a look. But glasses can often be very expensive. This is why I was delighted when Firmoo reached out to me and offered to send me a pair of complimentary glasses to showcase on my blog. I picked out these glasses in tortoiseshell and they retail for $36. First, let me just say $36 is a great deal for glasses! And the quality of these glasses is very good. So if you're looking for an affordable pair of glasses, I would definitely recommend checking out Firmoo's selection of eyewear first. 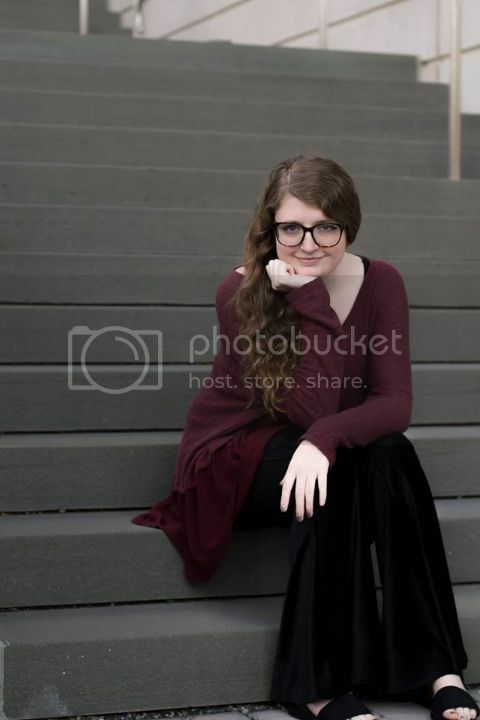 I love how they add a quirky, studious feeling to my look. They may be very oversize but I think that contributes to the slightly adorable feel of the glasses. I also really like the classic tortoishell color of these glasses; it makes them easy to pair with any outfit. For this look, I pulled out my green and white polka dot dress. The weather here had gotten cooler but it jumped back up to the high 70s today so a lightweight dress was perfect for the weather. 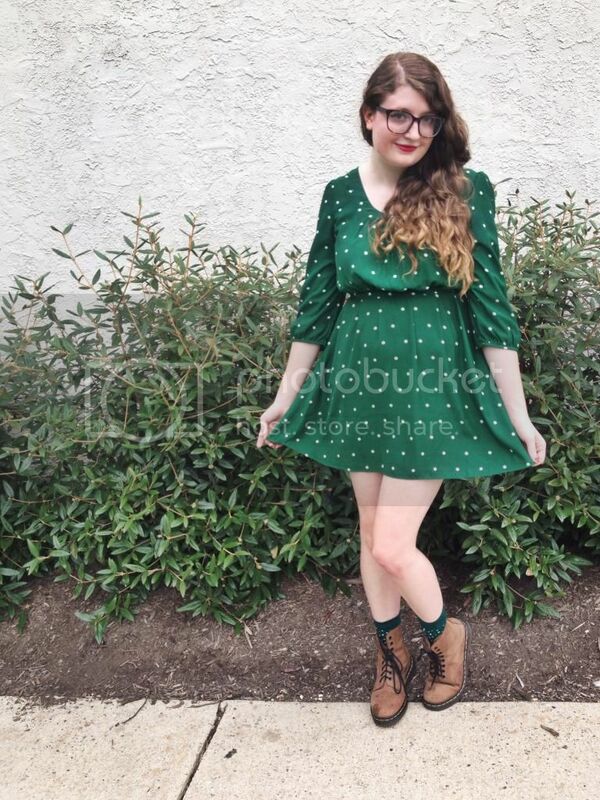 I empahsized the color and print of the dress by slipping on a pair of green and white polka dot socks very similar to the dress. 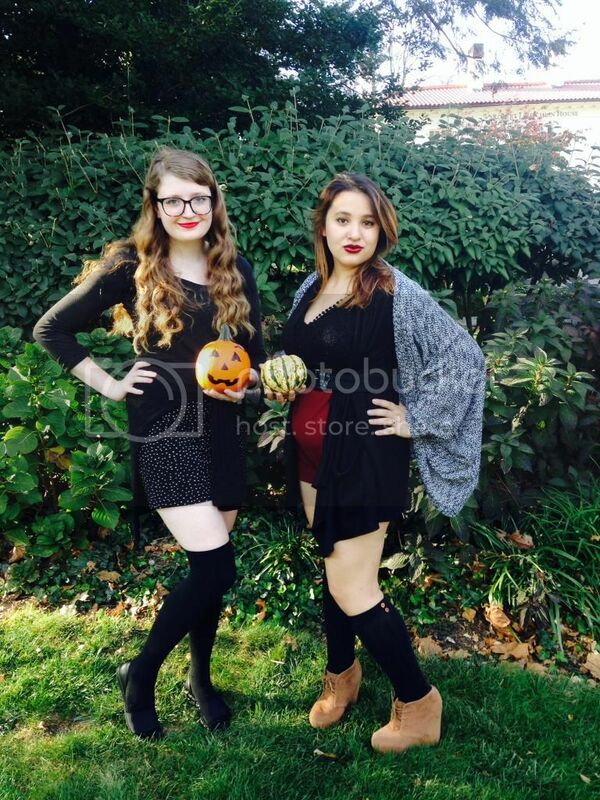 A pair of neutral-colored boots and red lipstick completed the look. Hello! This past weekend my sister visited me in Philadelphia and we decided to spend Saturday on South Street. Surprisingly, I had never been to the Magic Gardens on South Street before so my sister and I decided to stop by. 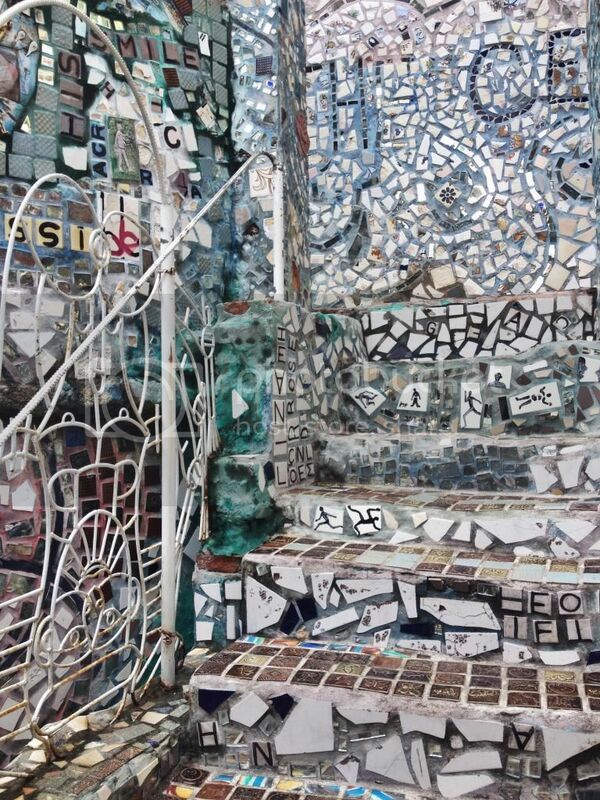 Essentially, the Magic Gardens are a "garden" of mosaics both inside and outside. Admission into the Magic Gardens is $5 for students and $7 for adults. The admission is definitely worth it to see the Magic Gardens. 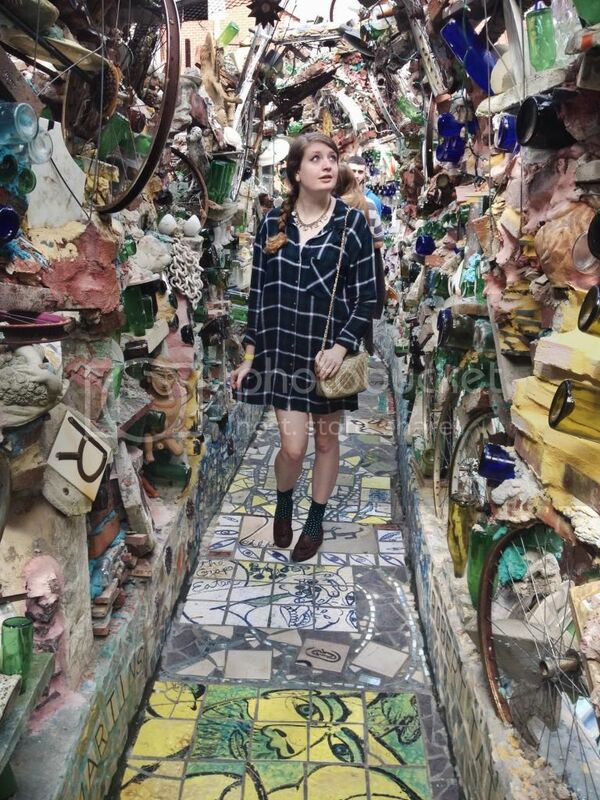 The Magic Gardens were created entirely by one sole artist- Isaiah Zagar. He began the creation of the Magic Gardens in 1994. 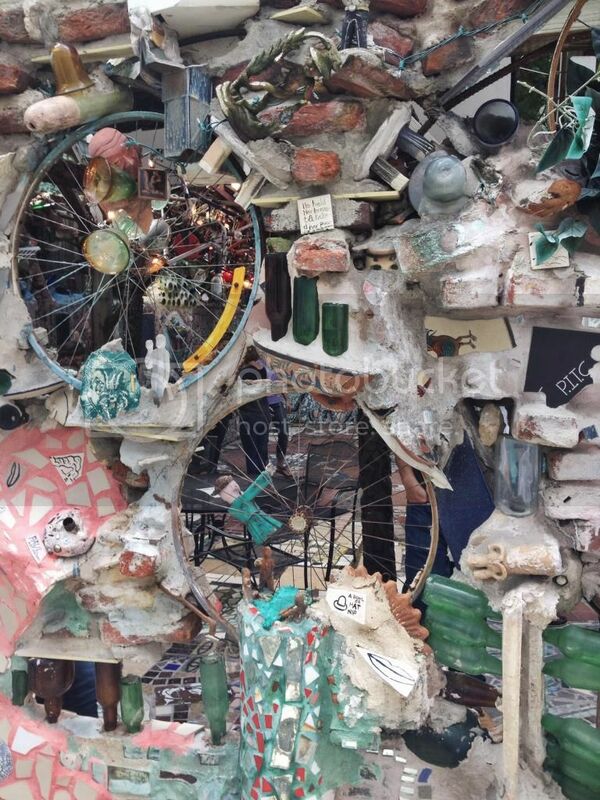 One can only imagine the years and years of hard work and dedication Zagar committed to the Magic Gardens. The mosaics and artwork of the Magic Gardens are so incredible that I'm at a loss of words for how to describe them. One thing is for sure, the Magic Gardens are filled to the brim with various colors, patterns and textures. The walls and floors are completely covered with gorgeous mosaics created from tiles, bottles, pottery, old bicycle wheels and many other miscellaneous objects. There is juxtaposition of different objects that evokes an entirely unique feeling. I've never seen anything like the Magic Gardens before. I snapped tons and tons of photos to capture and save the beauty of the Magic Gardens on my phone. Above are a few of my favorite photos that I took while there last weekend. If you are ever in Philadelphia, I highly recommend checking out the Magic Gardens. You can read more about the Philadelphia Magic Gardens on their site HERE. Hello! Today's weather was beyond perfect and reminded me why I love fall so much. For my look, I pulled my favorite pair of pants out of my wardrobe. The easygoing flare fit and stylish bohemian print of these pants have me falling more and more love each time I wear them. They are also incredibly comfortable and who could say no to that? For the gorgeous weather, I threw on an open knit, black sweater over a simple black bralette. 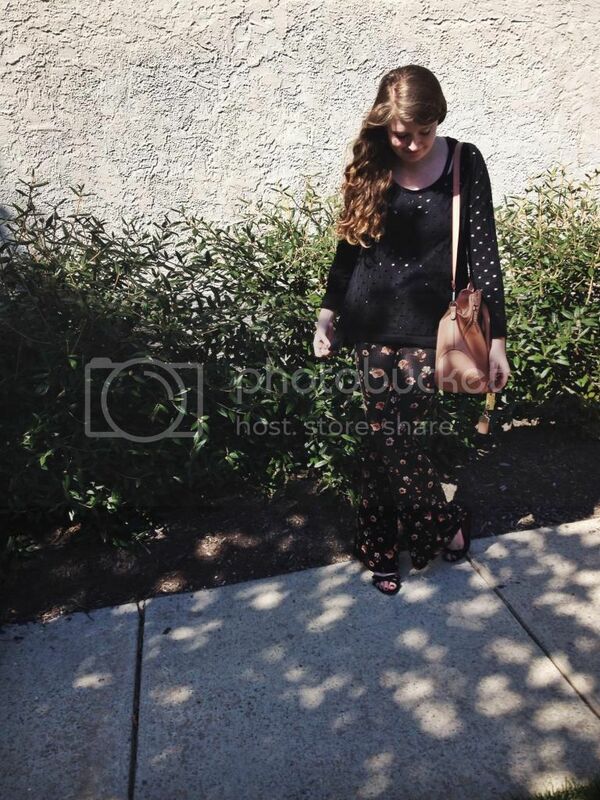 I accentuated the colors in the pants with a neutral, peachy tote bag and black studded sandals. I accessorized with a simple pair of golden earrings and a golden ring.